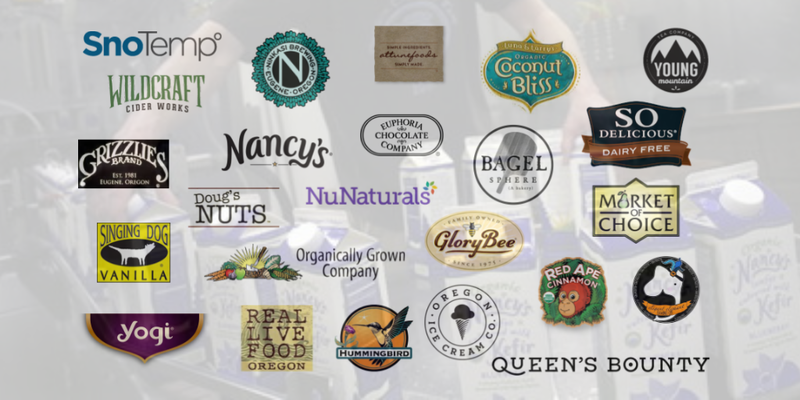 Business Oregon has awarded RAIN Eugene a $59,537 High Impact Opportunity Project Grant to begin designing the Southern Willamette Valley Food Business Development Center. The proposed center provides greater access to food testing, product design services, business development support, and capital to help scale and sustain traded-sector food and beverage manufacturing companies. Micah Elconin, Lane Food and Beverage Sector Strategist, sees big potential for the Eugene area. Oregon State’s Food Innovation Center is one of these key collaborators. The Portland-based center provides a large assortment of food testing and product development services. The Food Business Development Center will help amplify the Food Innovation Center’s expertise by creating a Southern Willamette Valley hub for more food and beverage companies to access the Food Innovation Center’s product development services. David Stone, Director of the Food Innovation Center says, “We are excited to work with RAIN Eugene and create more connectivity with the incredible food and beverage companies throughout the Southern Willamette Valley.” The outcome will be a stronger network of support for a diverse group of businesses up and down the I5 corridor that leverages the success of established organizations and accelerates the growth of food and beverage companies across the state. Due to its proximity near fertile farmland and direct access to the population centers along Interstate Highway 5, an incredible amount of food and beverage manufacturing occurs in the Southern Willamette Valley. Lane County alone is home to over 165 food and beverage manufacturing companies that employ more than 4,000 people, bringing over $179 million dollars in income to the area. By most estimates, Lane County food and beverage manufacturing creates over one billion dollars in local economic activity each year.